Rising out of the plains just north of the main road between Swakopmund and Windhoek and west of Usakos lies the Spitzkoppe, one of Namibia's if not the world's most striking rock spires. Rustic campsites are scattered around the granite boulders of the main peak and the neighbouring Pontok Mountains allowing you to fully appreciate this incredibly spiritual place. Sunrise and sunset paint the rocks gold. Enjoy sundowners at the spectacular rock arch and sleep under Namibia’s starlit sky. 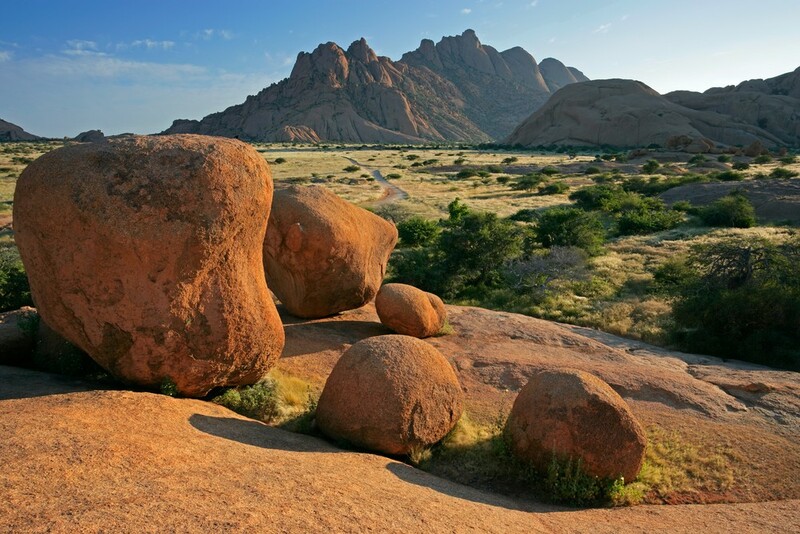 With a diameter of slightly more than 6km, the inselberg of Klein Spitzkoppe rises 640 m above the surrounding plains, with its peak reaching an altitude of 1584 m above sea level. 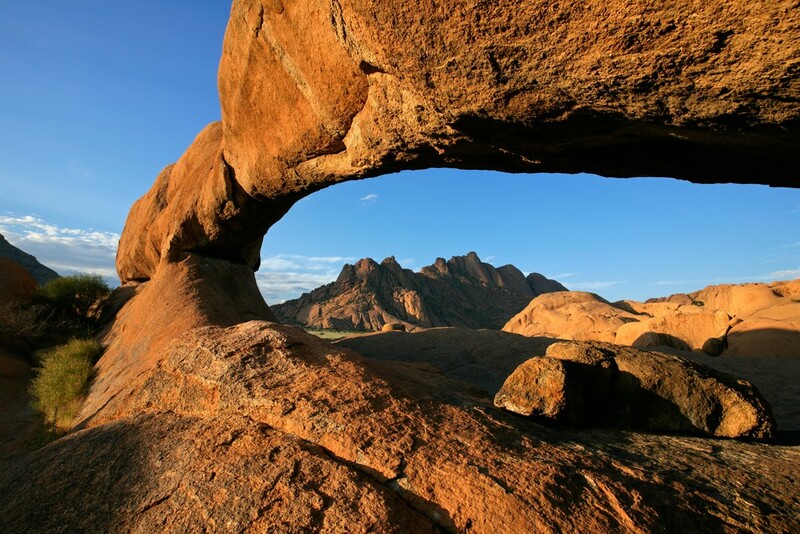 The Gross Spitzkoppe, which has a diameter of some 6 km, towers more than 720 m above the Namib Plain; the Pontok Mountains, situated immediately to the east, are part of the same granite complex and attain an altitude of 1628 above sea level. A variety of crystals such as topaz has been mined on a small scale by locals. Sptzkoppe Granite is also popular and is mined south of the Klein Spitzkoppe.